Your Say: "I Agree Too!" Ian Hyne answers a letter from Brian Coleman. 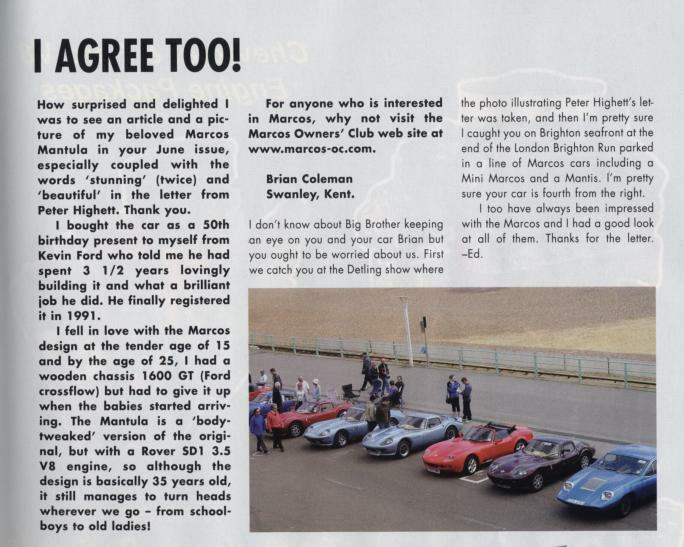 Unfortunately the MOC line-up at Brighton did not contain a Mini Marcos although three might have been present. On the extreme left of the picture you can just see your webmaster's Mini Jem and John Crowson's Midas Gold Convertible.